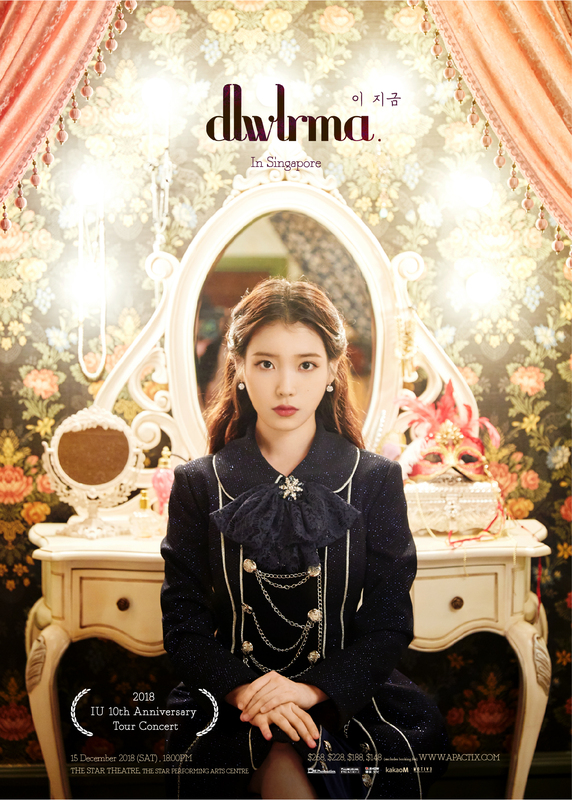 IU to Make Her First Visit to Singapore with 10th Anniversary Concert “dlwlrma”! IU will finally make her first visit to Singapore with her 10th Anniversary Tour Concert, 이지금 dlwlrma. The stop in Singapore will be happened on December 15 at The Star Theatre, The Star Performing Arts Centre! UAENAs are surely in for a wonderful night with the talented singer-songwriter, after years of waiting for her visit to the country. Also known as Lee Ji Eun, IU is a South Korean singer, songwriter, and actress, who made her debut with the album ‘Lost and Found’ when she was only 15. Her breakthrough song ‘Good Day’ successfully established herself as one of the top selling solo artistes in Korea. IU, who has released total of four studio albums and nine extended plays, has been included on Forbes magazine’s annual Korea Power Celebrity list since 2012. Furthermore, her latest song ‘Palette’ was named one of the Best K-Pop songs of 2017 by the Billboard magazine, while the album was included on the list of Best K-Pop albums of 2017. She is slated to release her highly-anticipated new album to commemorate her 10th debut anniversary today (October 10). Aside from her music career, IU also ventured into radio hosting, variety shows as well as acting. She started her acting career through drama ‘Dream High’ and has since starred in ‘You’re the Best, Lee Soon-Shin!’, ‘Pretty Man’, ‘Producers’ and the Korean adaption of hit Chinese historical drama ‘Moon Lovers: Scarlet Heart Ryeo’. Her latest drama, ‘My Mister’ was a success and holds the nationwide record of one of the highest rated dramas in Korean cable TV history. IU will kick off her 10th Anniversary Tour in Busan, followed by shows in Gwangju, Seoul, Hong Kong, Singapore, Bangkok, and Taipei. Fun fact for your information, the title of IU’s upcoming concert tour, dlwlrma, corresponds with the position of the keys on a Korean keyboard when you type ‘이지금’. Tickets are also available at Singapore Indoor Stadium Box Office, The Star Theatre Box Office, and all SINGPOST outlets. For more info, please visit ONE Production Facebook.